Easter gifts - save up to 15%! So, you want to get involved in cryptocurrency, but you don’t know what a cryptocurrency wallet is and/or what the best cryptocurrency wallet is? Well, in this article, I will guide you through the advantages and disadvantages of different wallet services – from apps, hardware and website services – and how they work. Cryptocurrency wallets are an important bit of software – this is the program that will store all your crypto ‘keys’ (which we will discuss later). Keeping these safe is crucial! They’re a bit like a vending machine in a public place – anyone can insert money into the vending machine, but only those with the keys to the vending machine can remove the money. This, put simply, is what a crypto wallet is. Picking the right crypto wallet is the difference between a safe cryptocurrency experience and a really bad one that sees you losing all your cryptocurrency money. Being safe online with cryptocurrency means having the best cryptocurrency wallet available. There are loads of different types of crypto wallets services. There are app-based cryptocurrency wallet services, offline services and web-based services to pick and choose from. By the time you finish reading this guide, you’ll be able to pick the right wallet service for your own individual needs. First, let’s find out what a cryptocurrency wallet actually is! 1 Best Cryptocurrency Wallet: What is a Cryptocurrency Wallet? 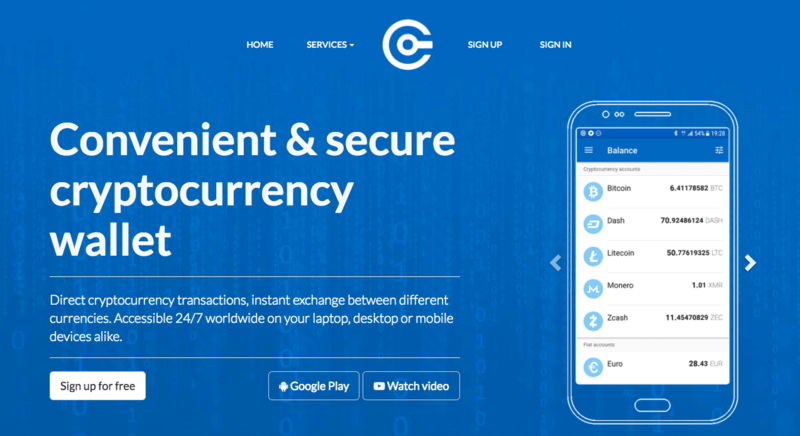 Best Cryptocurrency Wallet: What is a Cryptocurrency Wallet? A cryptocurrency wallet is a software program that holds the keys you use to send and receive various blockchain cryptocurrency tokens. It literally stores your ‘private’ keys and your ‘public’ keys – the secure way wallets communicate with blockchain cryptocurrency ledgers. It also lets you look at your cryptocurrency balances. The interface, the way the software looks, helps users to understand their cryptocurrency holdings (how much they have in different cryptocurrencies like Ethereum, Bitcoin or Ripple). The way blockchain works is that ‘ledgers’ get updated across all ‘nodes’ on the blockchain network. This means all individual ‘ledgers’ are updated at the same time – this means a wallet doesn’t hold crypto money but a record of transactions. Note: A ‘ledger’ is another word for a ‘database’. The word ‘ledger’ is much more common than ‘database’ in the crypto world, so you’ll hear it often! Oh, also: A ‘node’ is what we crypto geeks call the individual computers that run and maintain the blockchain. Unlike the wallet in your pocket (which hopefully has some money in it) your cryptocurrency wallet doesn’t store money in the same way a PayPal account stores funds. This is the crucial difference between cryptocurrency wallets and other online money accounts. Investing in crypto isn’t easy. You need to get a crypto wallet and deposit money into an exchange to buy different cryptos – and we’re not even going to talk about transfers between banks. There are so many different moving parts and when they’re working as they should be, investing in crypto can be easy. But if one part stops working, it all stops working. In the world of cryptocurrencies, your mobile phone, your hard drive or removable storage becomes the bank vault. That is what decentralization has done. By cutting out the middle man (banks and governments), crypto has made people stronger, but this all comes at a risk. By making you stronger, it also places all the responsibility on you to make sure your cryptocurrency is safe. To show you how unsafe crypto wallets can be, I’d like to introduce you to Cody Brown. Cody is a blockchain and crypto writer, investor and all-round ‘commentator’. Yet, even he managed to lose $8,000 dollars in 15 minutes. Cody received a text/SMS message at 11:31pm. His cell phone provider messaged him to say he was on the phone with customer services and a new payment method had been added. This surprised Cody, because Cody wasn’t on the phone to the cell company. He was very worried, so he tried to call his cell phone company, but there was no answer. In real-time, he watched as his phone was cyberattacked. He saw his Gmail email account being accessed, and his crypto wallet being hacked. He saw Ethereum, Litecoin and Bitcoin being sent from his wallet to the hacker’s wallet address. As Cody said: “Adios, hopes and dreams fund — $8,000+ is gone in fifteen minutes”. So that’s deffinetly not what you want when choosing your best cryptocurrency wallet. That’s how fast it can happen! It happens daily, so you need to know how to protect yourself and keep your crypto safe. Having a really safe place to store your cryptocurrency is important. Your crypto wallet is your friend when it comes to making your cryptocurrency investments safer. The next section will discuss the advantages and disadvantages of the different wallets available. Do you want to store cryptocurrency on a smart phone, a computer or offline? There are a lot of different ways you can own a cryptocurrency wallet. This section will outline the different wallet technologies available and the advantages and disadvantages involved with using them. App-based wallets are incredibly popular. Which one is the best android crypto wallet or apple wallet app available? 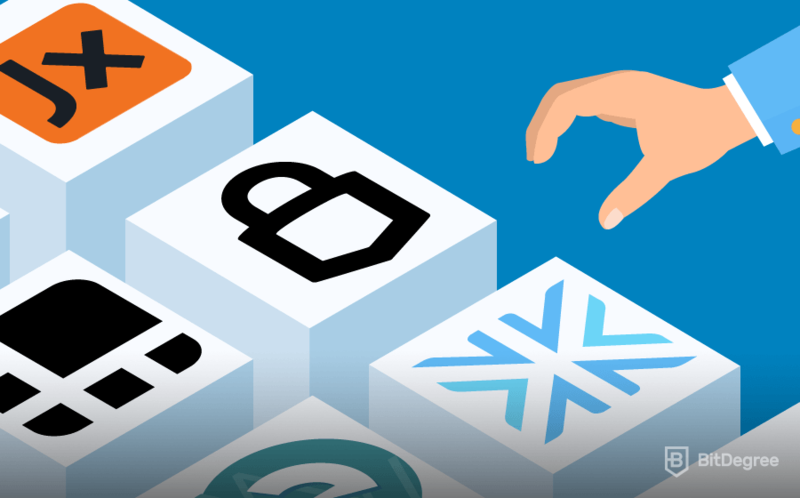 The top three highest rated wallet apps include – Mycelium, Cryptonator and Copay. In order to review these apps, we will look at the advantages and disadvantages of the apps and how they function as a wallet. Mycelium is a mobile bitcoin wallet app that’s really easy to use and convenient. It has a strong history within the Bitcoin and cryptocurrency industry. Launched in 2008, Mycelium has been an early player in the crypto wallet field – helping to make one of the best cryptocurrency wallets available. Mycelium provides its wallet service through an app for smartphone users. It has a very easy-to-navigate user interface (app layout). It is easy to use the tabs provided to jump between different tasks — from sending or receiving Bitcoin to looking after your security and settings. Mycelium provides Hierarchical Deterministic wallet security. HD is a smarter way of protecting the Bitcoin address and the Private Keys by providing an all-in-one Bitcoin wallet security system. Another big advantage is that Mycelium is often mistaken for open source. But in fact, it uses the Microsoft Reference Source License, which provides limited cover for the technology’s underlying code – helping to keep the technology secure. The biggest disadvantage of Mycelium is the bad customer service and the transaction fees. There is very limited customer support and the transactions fees are volatile — they can jump with some paying above market average fees for Bitcoin transaction costs. Cryptonator is a really easy and secure cryptocurrency wallet app. It allows instant direct cryptocurrency payments and exchanges between different cryptocurrencies — from Dash, Monero to Bitcoin. Cryptonator’s popularity is because of its multi-currency account feature. The app allows you to store, send, receive Bitcoin and other popular coins (19 at present) from the comfort of your mobile phone. Cryptonator is really big on security — meaning you can trust the app. It uses bank-grade security technology which means it uses professional security systems. It also uses Encrypted SLL web connection technology using HTTPS Google-approved web connection protocols, along with 2-Factor Authentication and Trusted IP technology to help provide the best app-based security. One of the biggest advantages to Cryptonator is the low Bitcoin transaction/sending fees (around 0.00010000BTC). This is below other crypto wallet providers. This helps to make Cryptonator one of the best cryptocurrency wallet services available. Cryptonator has a bad reputation for customer service. This is a big disadvantage. People are often waiting long periods for money to transfer and this can create problems when people get in touch with customer services — the wait and uncertainty doesn’t help. Copay was developed by Bitpay and this has made it incredibly popular. It is a wallet that has pure ‘convenience’, which means it is very easy to use! The layout — the way the app works and how the user goes about using it — is very simple. The biggest advantage to the Bitpay Copay app is that it has very good security – and strong privacy settings – which mean you can trust the app. It uses state-of-the-art HD-multisignature technology from Bitpay. It is also designed for sharing. This is what makes it the best crypto wallet available – you can share easily with friends and family, just like a joint checking account! The HD technology that Bitpay uses means you can restore your wallet if anything goes wrong. This is a great phone for Apple users over other types of wallets. It is also the best Android crypto wallet available as well. The only disadvantage is with customer service (we’re seeing a pattern here, aren’t we?). This is a problem with all app/web-based providers – many are tiny companies and with hundreds of thousands of users, so customer service is a problem. Overall, what we have found is that phone-based crypto wallets can be very useful. There are problems with security, but wallets that use HD and 2FA technologies are really safe. They use sound security systems and provide reasonable support. The biggest problem is customer service — all of the examples above have really bad customer service. Web wallets are a big problem. This is because they aren’t totally secure – you never get access to your own private keys. At best they are a temporary way of moving crypto from one place to another. But we should spend a moment explaining why they are not the best cryptocurrency wallet type. Coinbase is a popular online broker exchange in which you can buy and sell cryptocurrency with fiat (USD, EUR etc.). When you buy your crypto on Coinbase, it is stored in a Coinbase web wallet. The bad thing about web wallets is that they are much riskier than software wallets — if Coinbase’s server is hacked, you could lose all your cryptocurrency. In the past two years, Mt Gox and Coincheck are two major crypto platforms that have been hacked. In these hacks, hundreds of millions of dollars’ worth of cryptocurrency were lost. People lost their crypto and in one case, the Mt Gox company went bankrupt. People easily mistake exchanges for wallets — but people also mistake secure wallets for insecure wallet providers. Avoid online wallet platforms. They can be hacked, and many don’t provide the private key – which really means its not a wallet-type service. In my opinion, the best cryptocurrency wallet must also be the most secure! To be clear: I would never recommend leaving your cryptocurrency on an exchange! Paper wallets are one of the safest ways of securing your cryptocurrency – they are are an offline way of holding cryptocurrency. Put simply, it is literally printing off QR codes that represent your public and private keys. This offline safety net means you have absolute control over your cryptocurrency investments. This is one of the best cryptocurrency wallet formats available! However, paper wallets aren’t suitable for everybody. If you trade daily or weekly, having paper keys will become very difficult to manage — you’ll be using a lot of QR codes. The paper wallet is best suited for the long-term cryptocurrency investor. If you plan to buy big, over a long term, using paper wallets could provide you with the ultimate peace of mind, as it is one of the safest ways to store your cryptocurrency! Services like BitcoinPaperWallet.com allow users to print Bitcoin paper wallets for the best offline Bitcoin storage solution. You can buy a tamper-proof offline paper wallet with full QR code availability. Services like BitcoinPaperWallet.com can provide long-term Bitcoin investment security. You should note that paper wallets need to be stored safely. Any water, environmental or fire damage could result in full loss of your crypto. You could lose everything — but this is true of all wallets if they get hacked or lost. It is about being responsible – looking after your codes. We recommend storing a copy of your paper wallet with a trusted family member if possible. This way, you have a backup of your private key if your original is lost or damaged. Software crypto wallets are like web-based wallets because they’re installed on a computer and everyone’s computer is linked to the internet. This means they are “hot wallets”. This means they could be hacked remotely because of the internet access. But if you trade in low volumes, desktop software crypto wallets could be the best cryptocurrency wallet for you! 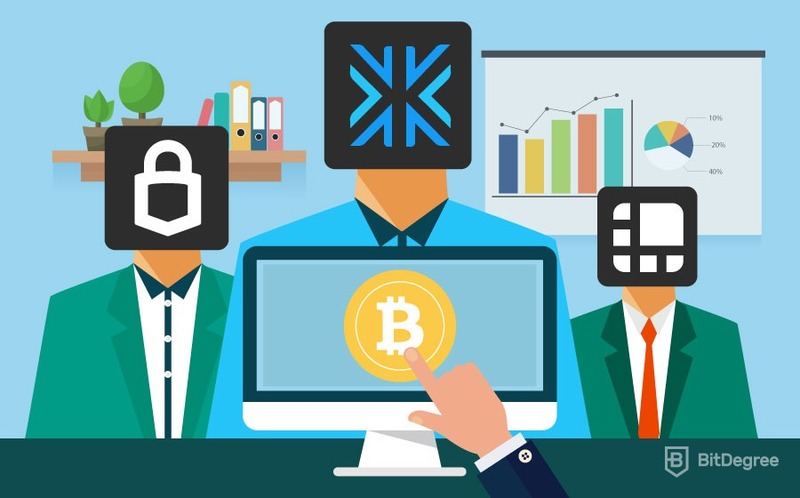 The most popular desktop Bitcoin wallet is Electrum — it is available to download for Windows, Mac OS and Linux operating systems. This is the most popular desktop software wallet, but it is also the most technical. If you are new to Bitcoin and crypto, this software might not be the right choice for you. The biggest advantage to software wallets — like Electrum — is the fee adjustment setting. When the Bitcoin network becomes busy, fees go up as people wait for transaction confirmations to occur. Electrum allows users to change the transaction fee to help speed up the transaction. The easiest software wallet to use is Exodus — it is a beautifully designed wallet that supports multi-coin exchanges, including Bitcoin, Ethereum, Litecoin, Dogecoin and Dash. It allows you to manage your keys, presents your investment in easy-to-understand charts and is totally customizable — meaning you can make it perfect for you. Software desktop wallets are not suitable for everyone. If you are holding large sums of cryptocurrency, it would be better to use a more secure wallet type, like a paper wallet or a hardware wallet (which I’ll explain in a second). The software desktop wallet is better than the web wallet, but it isn’t the best cryptocurrency wallet type available. Hardware wallets are one of the safest ways to store cryptocurrency investments. They are what is known as “cold storage”. Which means it is offline and it is more secure than “hot storage” wallets (like software wallets or web wallets). Therefore, in my opinion, this is the best cryptocurrency wallet type to choose. The hardware wallet differs from the paper wallet in that it provides built-in high security. The hardware wallet, which looks like a USB flash drive, has advanced security. This means the device cannot be accessed by people without the correct password. It helps greatly to improve security. However, remember that hardware wallets can fail. If you lose it, you lose the cryptocurrency. If it gets corrupted, you may not be able to restore it — so again, you lose your cryptocurrency. Also, hardware wallets have become targets. With the popularity of cryptocurrency growing, robberies have happened in the past year in which hardware wallets have been targeted and stolen from peoples’ homes. Cost is another disadvantage. The fees of paper, web or app-based wallets are a lot less than hardware wallets. This is because you’re buying a digital safe. It’s a USB drive with excellent memory and security. They start from $85-$99+, and some cost upwards of $2,000 dollars! If you plan to trade cryptocurrency with some regularity, and would like offline (‘cold storage)’ crypto wallet protection, hardware wallets are a good choice. Remember, this is like owning a safe deposit box. You need to remember the access code, because no one else can help you access it if you forget the code. My favorite hardware wallet, and by far the most popular, is the Trezor wallet. I could call it my best cryptocurrency wallet. It is a “bulletproof” Bitcoin wallet and is hyper-secure — it supports Windows, Linux, Max and has one of the best Android wallet apps available for cold storage crypto investment. The Trezor hardware wallet has full two-factor authentication, a password manager app, and is compatible with ERC-20 tokens. It also provides cryptocurrency support for a range of different crypto coins, including Dash, Bitcoin and Ether. It’s easy to use, you plug in the USB adaptor. You connect via the computer and you can reset using the management software included. Total control, total security and total peace of mind. It’s tiny as well and can fit in the palm of your hand. Other models like KeepKey and Ledger also provide hardware wallets with great in-built security. This guide has attempted to bring together all the different wallets available for cryptocurrency investors. Every crypto investor, trader and user will need a wallet so it’s up to you to choose your best cryptocurrency wallet. We have read about app-based wallets, like Mycelium.We have looked at online wallets, like Coinbase. 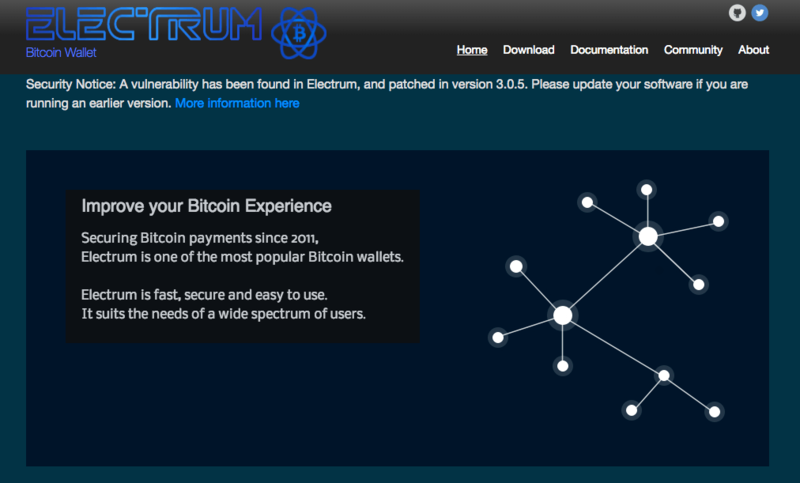 We’ve also looked at software wallets, like Electrum. We have looked at paper wallets, like BitcoinPaperWallet.com. Finally, we looked at hardware wallets, like Trezor. What we discovered was that “hot wallets” are not 100% safe — they’re only good for small trades. Examples of “hot wallets” include Desktop Software Wallets and App/Web-based Wallets. For bigger trades you need “cold wallets”. These are much better for holding cryptocurrency long term. Examples of cold wallets include the Paper Wallet and the Hardware Wallet. However, they’re not suited for all different types of crypto investment. I recommend paper wallets for long-term HODL-based crypto-investments. However, for regular big money crypto investments we recommend hardware wallets like Trezor and Ledger. For a comparison between Trezor wallet and Ledger wallet (the two most popular hardware wallets), read our Trezor vs Ledger review. We found that offline cold storage of crypto investments means you have more security – it’s like keeping your bitcoin in a vault. It is only you know that knows the access codes, and that’s what makes it so secure and safe! You are the individual responsible for your own cryptocurrency security. Cryptocurrencies are unregulated. So you must make a lot of research before choosing your best cryptocurrency wallet. There are no government rules, so if you lose them, there is nobody to help you. Using paper wallets and hardware wallets can promote good cryptocurrency ownership — meaning your crypto remains safe and secure. I believe hardware wallets are the best crypto wallet type, with paper wallets not far behind! Make sure you think about your wallet security before you end up as a victim and get your wallet hacked like Cody Brown did! You don’t want your hard-earned cryptocurrency stolen, do you? Take responsibility, use good wallet services and keep your cryptos safe. Let us know: in your opinion, what is the best cryptocurrency wallet? Gatehub Review: is Gatehub Safe? Success, you have subscribed successfully! Error, failed to subscribe. If problem persists contact site administrator. © 2018 Bitdegree.org - The world's first blockchain-powered online education platform with token scholarships & tech talent acquisition.